Hmmmm… not everything has gone according to plan in the veg garden. 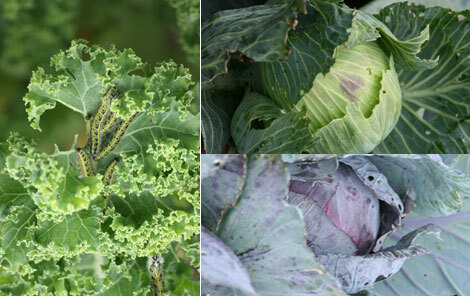 We didn’t protect from the cabbage white and the result as you can see is an infestation of bugs! Fortunately we caught them just in time before they could too much damage. Trying to keep to our organic principles we check them by hand every day. Any caterpillars we catch are fed to the chickens.Yum Yum.